Twelve small colorful cubes on elastic that can be manipulated in many ways. 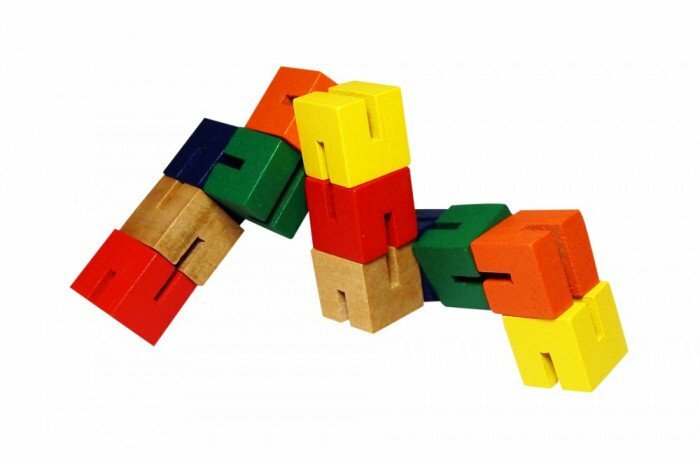 A fidget children may enjoy for differing sensory input due to wooden configuration. 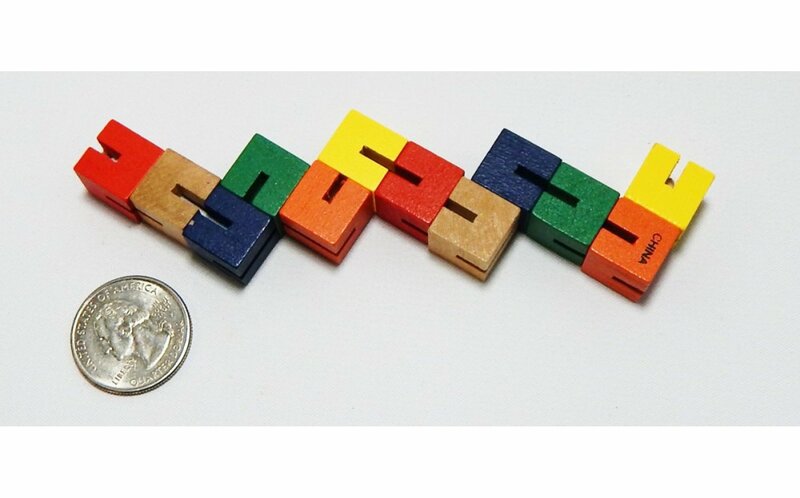 Small fidget measures 5" in length and is small enough to fit in a pocket or pencil pouch. Colors assorted.